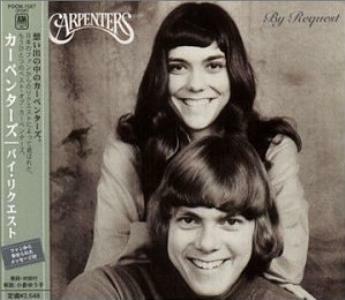 In the couple of years leading up to the millennium year of 2000, there were persistent rumors among Carpenters fans of a new compilation due out that was to be called EVERGREENS. It got as far as having entries in online databases that persist to this day, but the concept of the album was changed near the end to be a collection of songs requested by fans, largely in Japan. The result was officially titled BY REQUEST and saw release in Japan in 2000. It features a nice mix of hit material and favored album tracks.